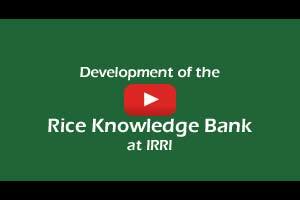 To bridge the gap between research and practice in rice production, the International Rice Research Institute (IRRI) developed the Rice Knowledge Bank (RKB)—a digital extension service that provides practical knowledge solutions, specialized for small-scale farmers in developing countries. 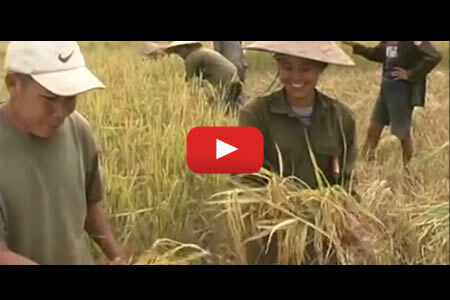 RKB showcases rice production techniques, agricultural technologies, and best farming practices based on IRRI’s pool of knowledge from research findings, learning and media resources, and in-country projects. To facilitate easy access to information, RKB highlights the Step-by-step Production Stages from pre-planting to postproduction management, Decision Tools, and Agronomy Guides to help people make informed farming decisions. RKB serves to address the biggest challenge to agricultural development by supporting fast and effective transfer of technologies from the research laboratory to the farmer’s field.